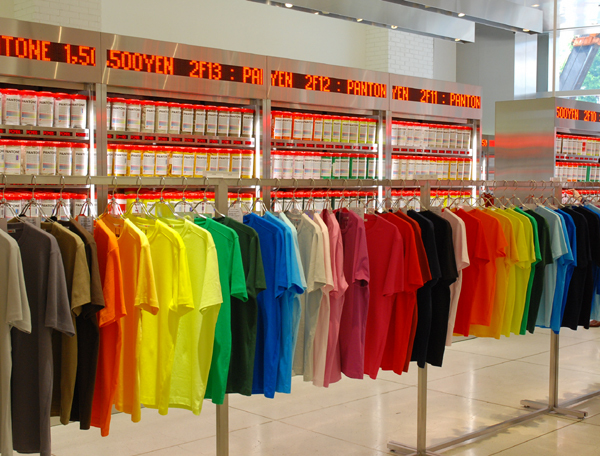 UNIQLO has had a T-shirt campaign every year for the last 4 years. It consists of over 1,000 shirts they produced. 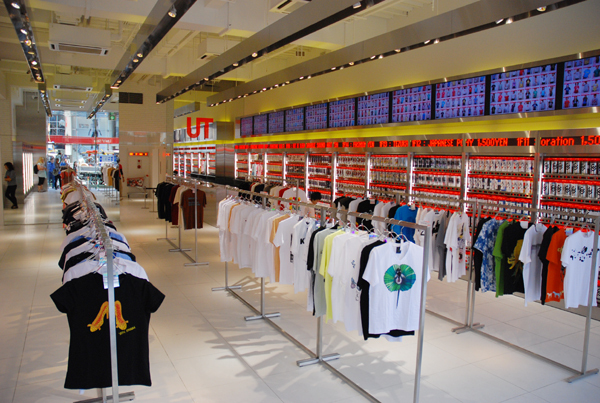 On April 28th, UNIQLO opened a new store on Harajuku Meiji Street called “UT STORE HARAJUKU.” which is a new brand specializing in t-shirts. advance into the New York market. UT is not only a place to buy creative t-shirts, but also a place where the style of buying t-shirts is creative. These goods are in about 20 different categories and there are over 500 different patterns to choose from. A lot of artists, designers and collaborators have worked with various corporations that have been releasing their t-shirts. Each month UT is releasing a new design with new unique ideas. There are triple collaborations, which include Osamu Tezuka (a great Japanese animator), UT, and a third collaborator like Nagi Noda, Enlightenment, TOMATO, and other world famous designers. Also there is a chance for you to be a UT designer by submitting an original design for the “UNIQLO creative award”. The hottest, most recommended t-shirts are in the middle of first floor. When you find something you like from here, just get the “UT code” on the tag, and it will help you find the same shirt in the store. Also, you can easily find your favorite designs, colors, and shapes by using their T-shirt search system. And the price is set at 1,500 yen except children’s items. 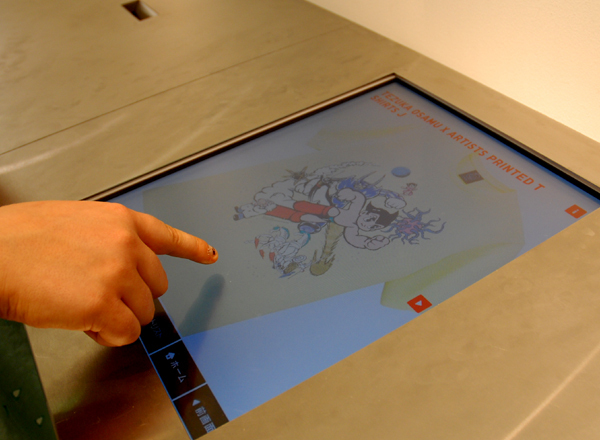 I was amazed by the system as it allows customers to shop at a very smooth pace. The second and third floors are separated by men’s and women’s attire. There are simple and colorful collaboration t-shirts from Pantone Inc. (also known worldwide for the pantone matching system). They also come in V-neck shapes and tank tops. 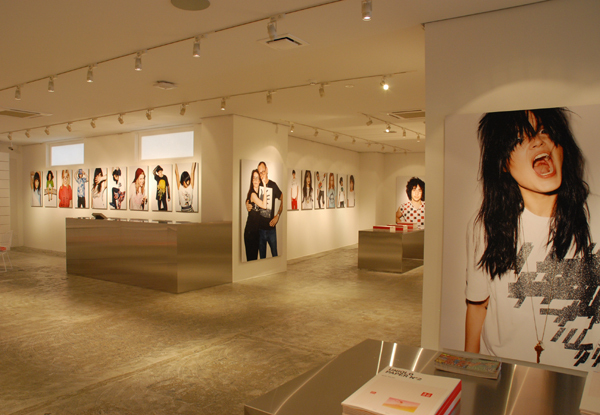 The fourth floor has a photo exhibition of photographer Terry Richardson’s work capturing 54 young creative models in New York wearing UT t-shirts. It is very stylish and represents UT’s possibilities and expectations. This place will be used for information and displays about t-shirts in the future. 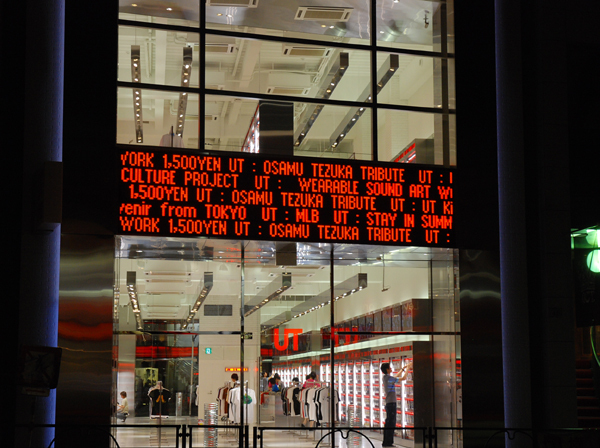 UT is not a limited period brand; it is a new challenge for UNIQLO, which expands their business worldwide. T-shirts seem like another big media outlet. It is one of the fashion items to show your own taste, but is also a source of information and cultures. 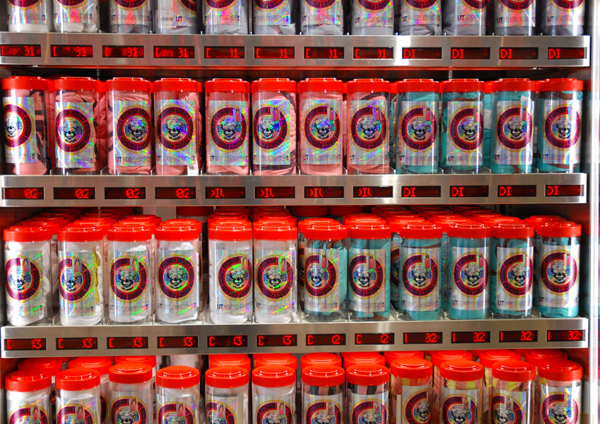 The “UT STORE HARAJUKU.” is an amusement park of t-shirts and also will be a new hot spot in the gigantic fashion city in Tokyo. 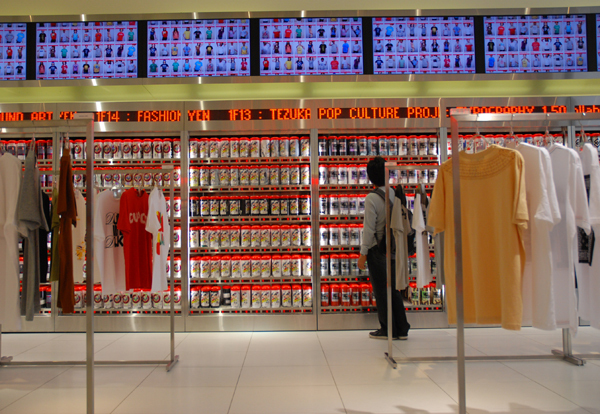 UNIQLO is presenting an active online campaign. Last time they had “MIXPLAY” and this time it is “UNIQLOCK.” In the teaser site (starting from June 1st) you can watch dance battles by dancers who wear UNIQLO’s polo shirts. This campaign officially starts on June 15th. It is up on YouTube also.